Do you love the idea of using cloth nappies but don’t know where to start? As a busy mum or dad, are you worried they’d be too much extra work or too expensive? Today we’ve got a fantastic interview with the lovely Eve from Baba + Boo, who is here to dispel any pesky myths about cloth nappies and show us how we can embrace them hassle-free. So, without further ado, over to Eve! The Bell family consists of Paul, Eve, Seth (8) and Louisa (7). We live in Worsley, Manchester. I’m mainly found spinning on a hamster wheel. Cross-eyed. We are a little unit who love being together and we especially love holidays. We go away as much as we can, well as much as the school holidays allow! Aside from planning holidays, I love being cosy and reading. Winter hibernation is my favourite. What exactly is Baba + Boo and why/when did you set it up? Baba + Boo is my reusable nappy company. We design and sell reusable nappies and other waste-saving products for baby. Before I had my children, I was a buyer and realised that going back to work wasn’t going to work for me. It was a stressful, full on job and I am an all or nothing kind of person, I couldn’t see how I could be the mum I wanted to be and give my all to my career too. After a year or so of being a stay at home mum, I realised I wasn’t cut out for it and needed something to keep my brain busy, whilst also earning a bit of pocket money. So the children were 18 months and 9 weeks old and I started a business. Looking back, I must have been insane! I had started using reusable nappies, loved them and started reselling other brands, more to show other parents how beneficial they are than anything else. It grew really quickly and I was soon able to start designing my own nappies. 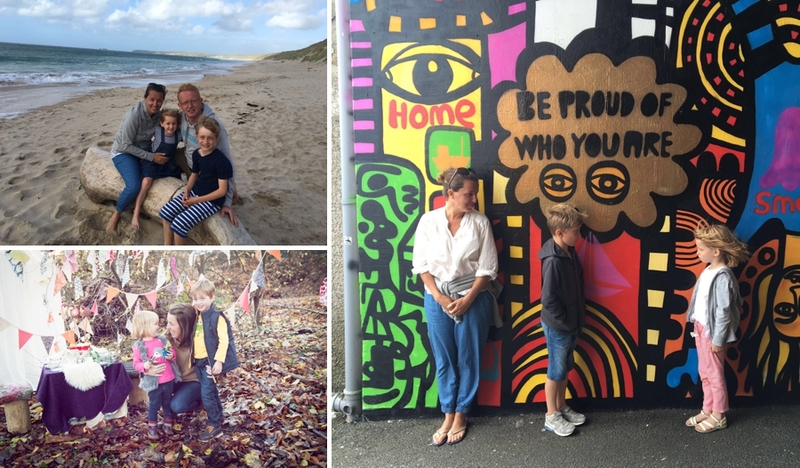 What are the best bits and hardest bits about being a mum and running your own business? 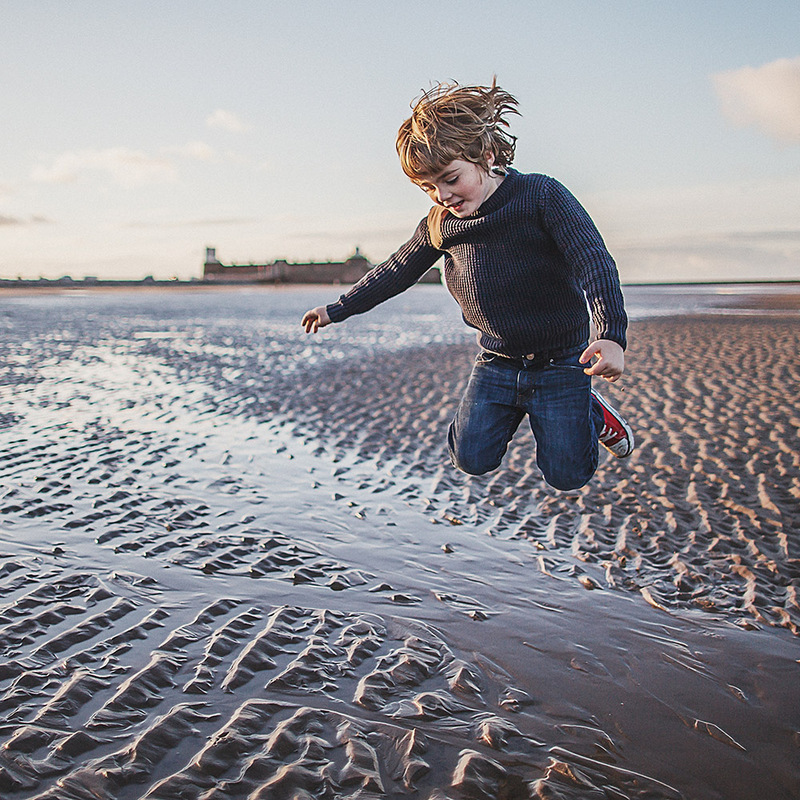 Best bits by far outweigh the hard bits – maybe because I am 7 years down the line and I feel I have mastered the juggling and the children are older. It allows me to be the mum I want to be. My mum juggled 3 jobs but I remember her always being there. I want to emulate that and show the children that I work, yet be there for the school runs. It does get frustrating as I can be in the middle of something and then all of a sudden it is 3.15pm and I have to rush to school and put my mum hat on. Then it is tea, after school activities (of which there are many), bedtime and then I put my Baba+Boo hat back on. It’s a lot easier now than when they were younger and I only had nap times and evenings to work – they didn’t sleep well at night either, it was so hard. The hardest bit is never being off. Especially with social media nowadays, you feel like you must be switched on all the time. My brain no longer knows how to have down time. Why are you so passionate about cloth nappies? Growing up, my dad drilled it into us to not waste anything – he would be watching what you put in the bin and went crazy if you left a light on. That never left me and putting nappies in the bin just felt wrong, especially when I learnt that a baby goes through about 5000 disposable nappies and each one takes 500 years to decompose. I am so passionate about waste reduction – not only because of the landfill issue but just in general life. This throwaway culture we live in drives me insane. I am a huge advocate of choosing well and buying less. The less you have, the more time you gain and life can become slower. My friends text me when they have cleared out a cupboard or a drawer. I am known as the clutter fairy. I think if parents can start with choosing cloth nappies, it can trigger something in them to start choosing well for their baby and family. What are the biggest myths circulating about cloth nappies? Where do I begin!!!? The biggest one is that parents think they are hard work and they can’t possibly fit washing them into their lives along with everything else. Cloth nappies are exactly the same as disposables but instead of going to the bin, you put them in a nappy bucket. When they nappy bucket is full, you put them in the washing machine. This means an extra 2 washloads a week. Your washing machine is never off when you become a mum, so it is barely noticeable. They dry so quickly, so the laundry side of things is no work at all. Most nurseries are fine with them these days too. What would you say to mums/dads who want to try cloth nappies but are nervous about taking the plunge? I think a lot of parents think it is all or nothing with cloth nappies. I always tell parents who are unsure, to just start off with just 2 or 3 cloth nappies and use them around the house. Sometimes, it is just about building up confidence with them. I started this way and used disposables when I was out until I was confident that the fit was right and I wouldn’t have any leaks. It’s not long before parents come back saying they love them and can no longer stand putting nappies in the bin. Plus they are so much kinder to babies skin and look really cute too. What is the basic minimum kit and setup that parents need to have in place to start using cloth nappies and how does it compare cost-wise to using disposables? We have a starter kit that contains 15 nappies, a bucket, a nappy bag and some liners. This is everything you need to get started and to use cloth nappies until potty training. It costs £195. The average spend of disposables over the lifetime of a baby being in nappies is £1000. Ouch. If you want to read more about the cost benefit, we have a breakdown here. Biggest tips for simplifying cloth nappy use and making it hassle-free? – Don’t listen to the people who don’t use them and say they are a pain. – Listen to the people who use them and love them. – The only difference is an extra one or two wash loads a week. What is your favourite Baba + Boo product? Nothing makes me happier than packing up a starter kit. I know what a difference it is going to make to the family who have bought it. But mainly, that purchase means about 5000 less nappies going in the bin. I just love that, it is what makes me the happiest in my work. What next? Any exciting plans on the horizon? We have new products in the pipeline, we aim to be a one stop shop for all things baby and stock ethical products – our own and other cool brands that share the same ethos as us. All in good time though. I have found the balance with work and life now. I think. Growth in a business can be all too consuming as I have learnt over the past couple of years. It took me away from the reasons I started the business – which was to give me the freedom to spend quality time with the children making memories. My brain is always in overdrive, I have lots of ideas for other businesses but they are on that backburner for when my children don’t need me as much. Shudder the thought. 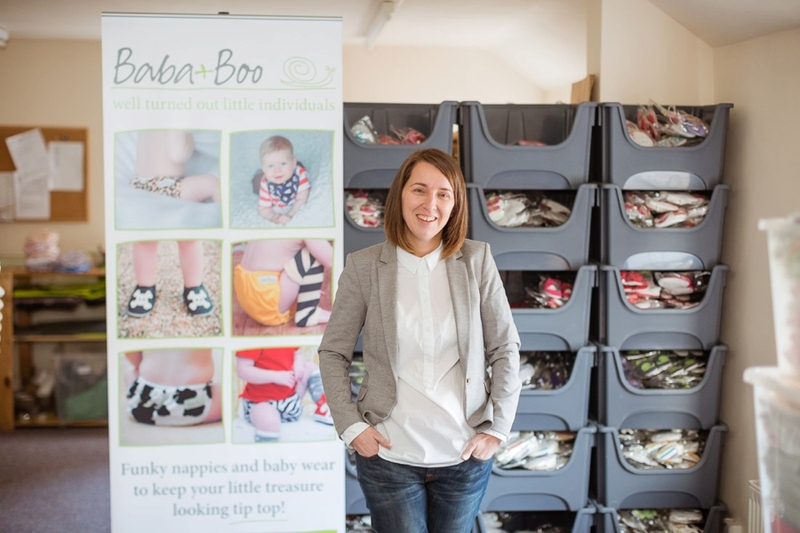 Thank you SO much Eve for taking the time to tell us about your fantastic business and for all your top tips for getting on board the cloth nappy train! Please do check out her stuff and show her some love, we think it’s just wonderful what she’s created. Big thumbs up from The Curve!